New development and activity at the fishing port generate energy in Korea’s second largest city, Busan. 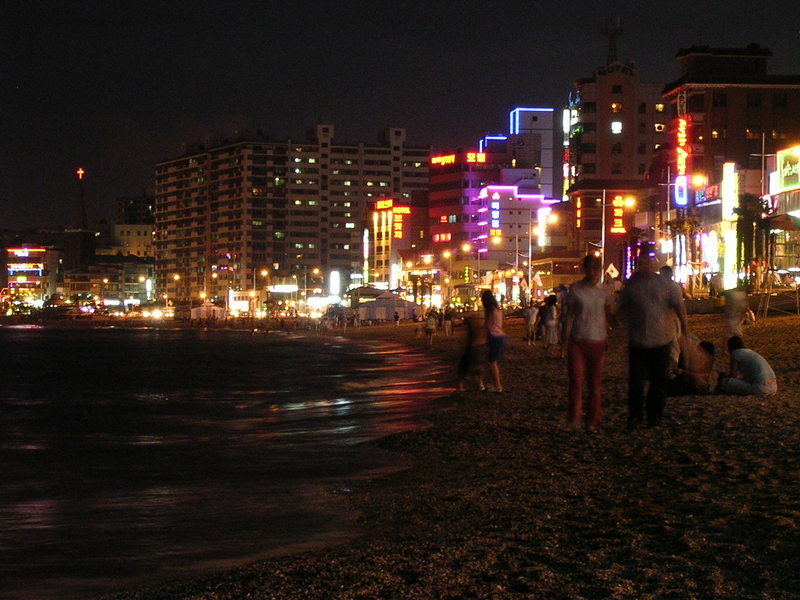 In sharp contrast with the dark waters, stores with flashy neon signs edge the perimeter of the bay and people sit mesmerized along the beach, staring into the black ocean, as the summer nights slip by. 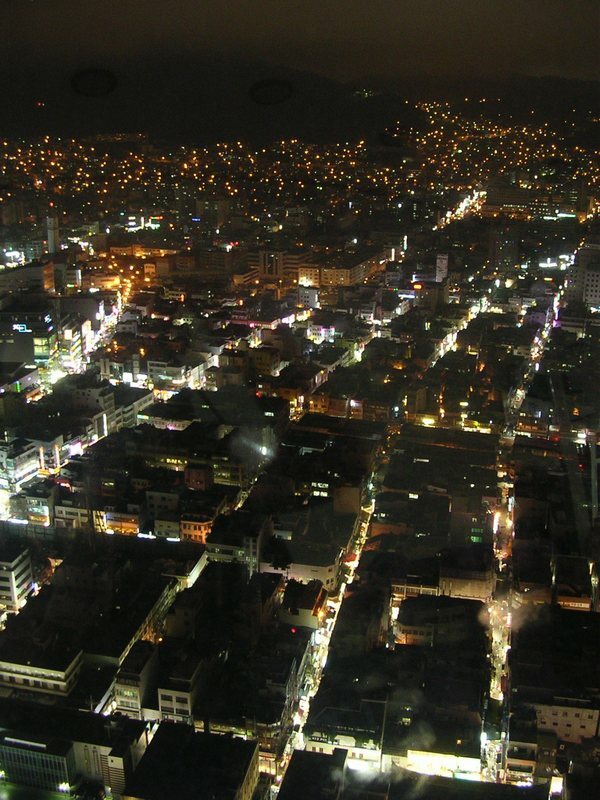 Looking down on the city from Busan Tower. 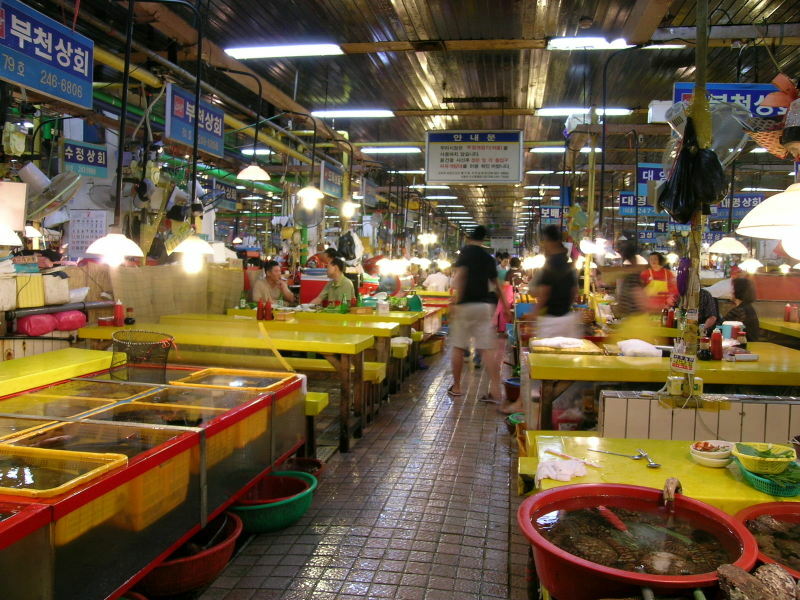 The Jagalchi Market, full of activity and the smell of fresh fish, is flooded with fluorescent light. Long into the night, people enjoy their time along Kwanghalli beach.